A natural in the ring (and always ready to boast about it), Naito is the brazen leader of Los Ingobernables de Japon. He debuted for NJPW in May 2006 and is a former IWGP Junior Heavyweight Tag Team Champion (as a part of NO LIMIT, with Yujiro Takahashi). He was also the winner of the 2013 G1 Climax. In May 2015 he sided with the Mexican wrestling stable, Los Ingobernables. Six months later he founded Los Ingobernables de Japon (L･I･J) and began a successful rise within NJPW culminating in winning the IWGP Heavyweight Championship in spring 2016. While his reign was brief, Naito would continue to put himself in the ‘lead role’ of New Japan. The lead role deserved the lead Championship, and as a result, he showed disdain for most other accomplishments he earned. This included the IWGP Intercontinental Championship, a title which saw incredible abuse under Naito’s watch; the title belt being flung into the ring and beaten over ring posts and steps would become a common sight. 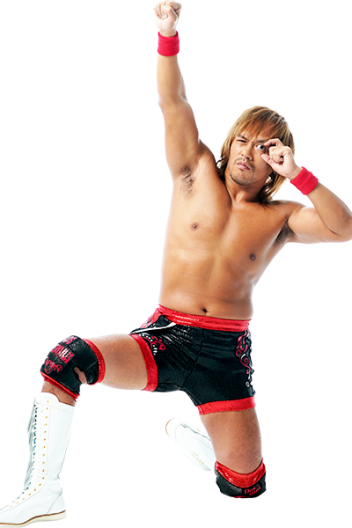 While Naito would eventually lose the Intercontinental Championship to Hiroshi Tanahashi at Dominion 2017, he would rally to his second G1 Climax victory that year, and looked to retake the IWGP Heavyweight Championship in the main event of Wrestle Kingdom 12. Kazuchika Okada would deny Naito that night, as Naito seemed conflicted between the power hungry El Ingobernable and the glory hounding Stardust Genius. While he would once again win the Intercontinental Championship shortly afterward, Naito had a difficult 2018, suffering another high profile loss to Chris Jericho at Dominion. El Ingobernable would return to prominence as the calendar rolled to 2019 however, defeating Jericho at Wrestle Kingdom 13, and making clear his intention to one day be the first double IWGP Intercontinental and Heavyweight Champion. Until he achieves his goals? Tranquilo, Assen na yo!